If you're a company like Nike, what happens when you slap together two of your most innovative shoe technologies? 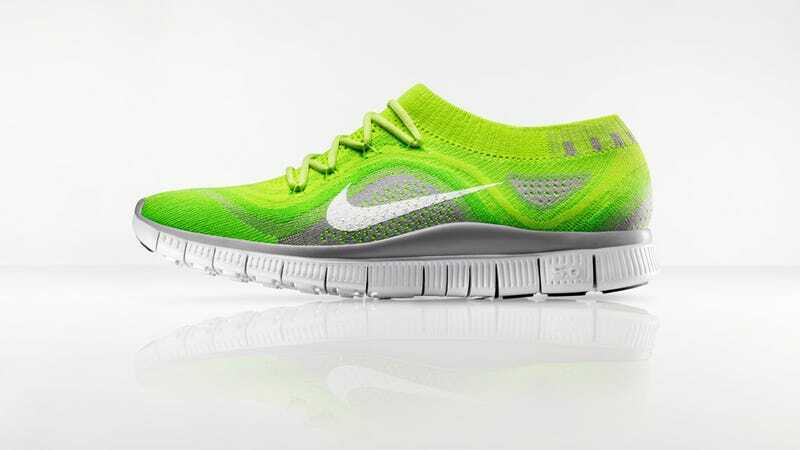 Well, in this case, you get the Free Flyknit. By combining the mid-range cushioning provided by the Free+ 5.0 midsole and form-fitting Flyknit upper, Nike thinks it's created one of the most barefoot-like experiences.